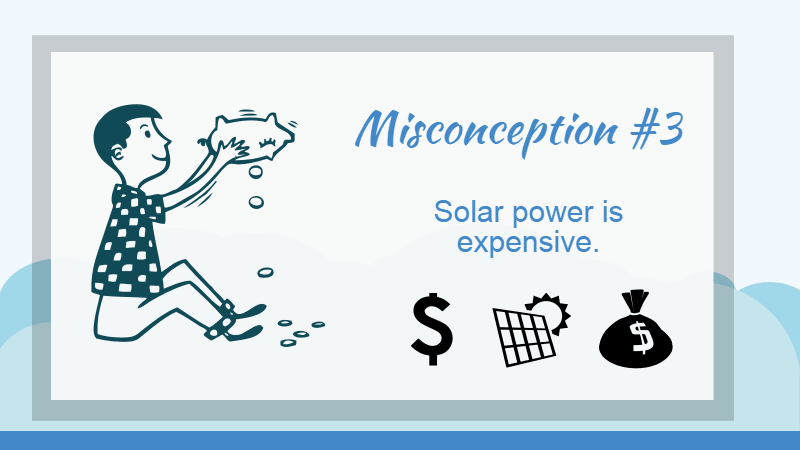 5 Misconceptions about Solar Power Debunked! Not everything you hear about solar is true. 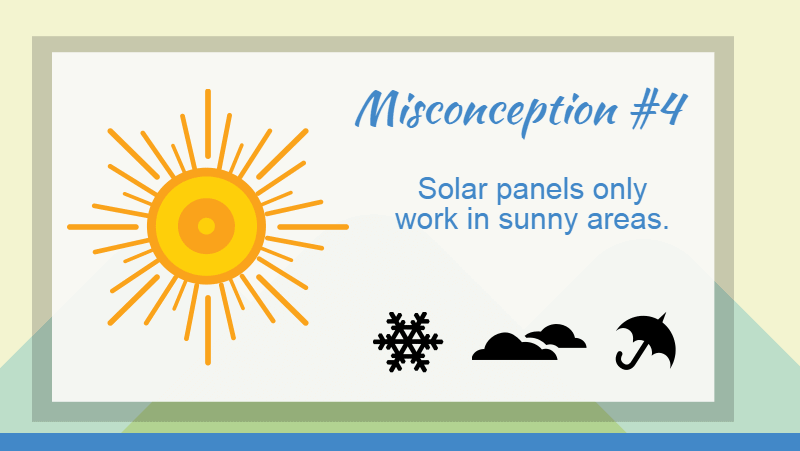 There are many misconceptions about solar that need to be debunked. 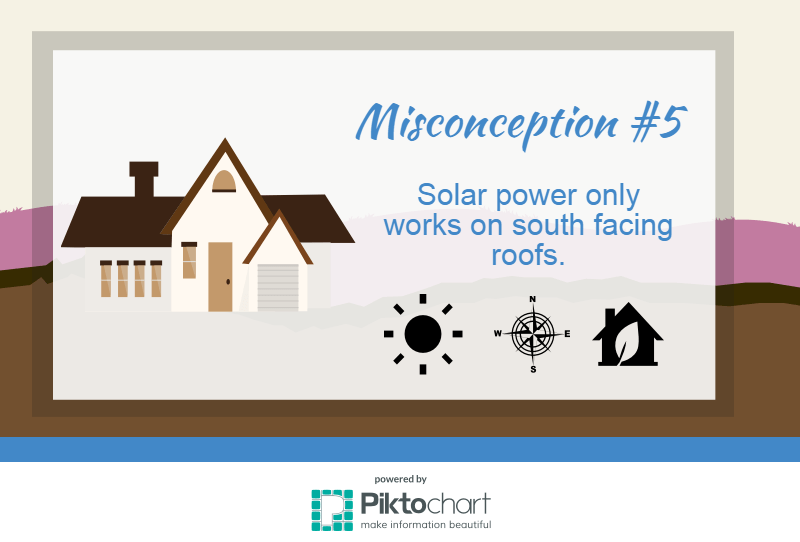 Here are 5 misconceptions about solar power put to the test. The first of many misconceptions about solar power we will be debunking is whether or not you will have to give up a certain way of life. 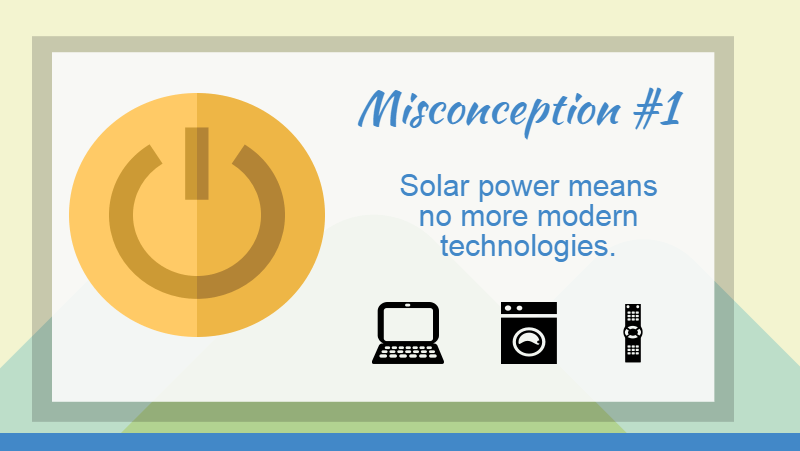 This misconception comes from the idea that going solar means giving up 21st century luxuries. This is absolutely false! You can still have your computers, washers and dryers, television sets, and even that giant pool you’ve always wanted! The Lawrence Berkeley National Laboratory has found that buyers are willing to pay $15,000 for homes with solar panels. While the exact value will differ from state to state, this study has found that buyers are not shying away from solar-powered homes. This misconception is very common, but solar power is becoming more and more affordable everyday. The cost of solar dropped 17% in 2010 and an additional 11% in the first half of 2011. The government has also created incentives to persuade Americans to purchase solar power in an effort to go green. The federal government will pay a 30% tax credit, but this won’t last long. The incentive is set to expire in December of 2016. 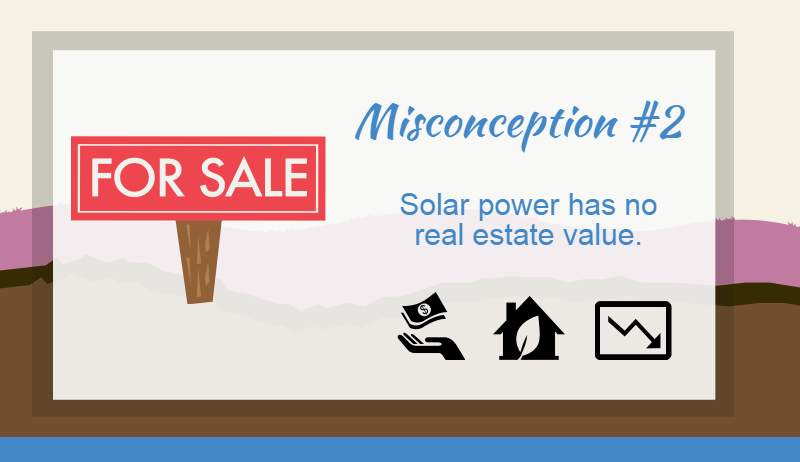 This misconception about solar is very common and understandably so. When you think of solar power, you would think that the solar panels need heat from the sun. Germany is currently #1 in solar, yet they have lower temperatures than the U.S. This is because solar panels don’t need the heat from the sun, they need the light. The U.S. has 3,900% more sun than Germany while Germany uses 6,000% more solar than the United States. Even in cloudy weather, as long as the panels are exposed to 5.3 sun hours of light, they will function properly. Ideally, solar panels should be facing South to gain the most sun hours, but they can still work just as well while facing East or West. Efficiency goes down by roughly 12%, but more panels can be purchased to make up for the loss. Even if you choose not to make up the difference, with a little extra time, non-south facing panels will work just as well.